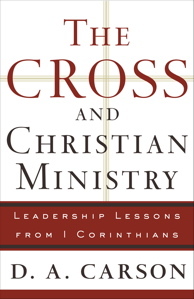 “When the pressure to ‘contextualize’ the gospel jeopardizes the message of the cross by inflating human egos, the cultural pressures must be ignored…. However great Paul’s flexibility and cultural sensitivity, they are not open-ended; he draws the line where he thinks the gospel might be jeopardized” (34-35). “Although Paul was an extraordinarily flexible apostle and evangelist, he had sorted through elemental Christianity in a profound and nuanced way so that he knew when he could be flexible and when he should not bend. In other words, his grasp of theology enabled him to know who he was, what was expected of him, what he was free to do, and what he should not consider doing under any circumstances” (120-121).